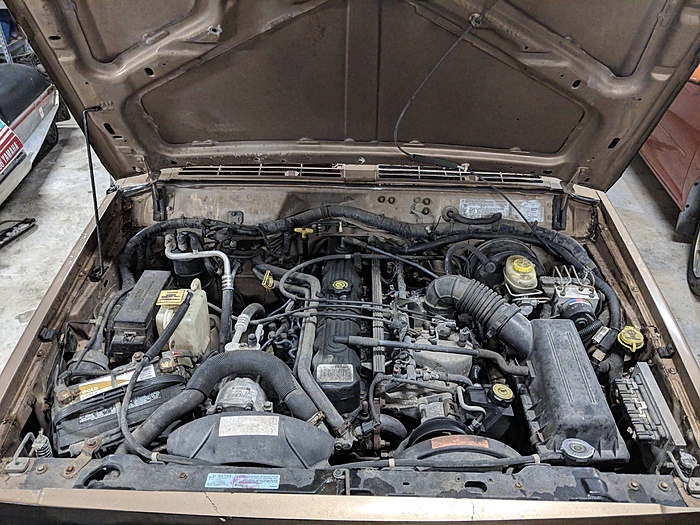 About two weeks ago I bought this 99 XJ SE off of a buddy for cheap who picked it up a couple days prior from sitting in someone's driveway with a laundry list of service records included, although it still needs some work. It's got 221k on the clock and will begin as a restoration project with the hopes of eventually turning into an overland build as I currently DD a 99 Montero. 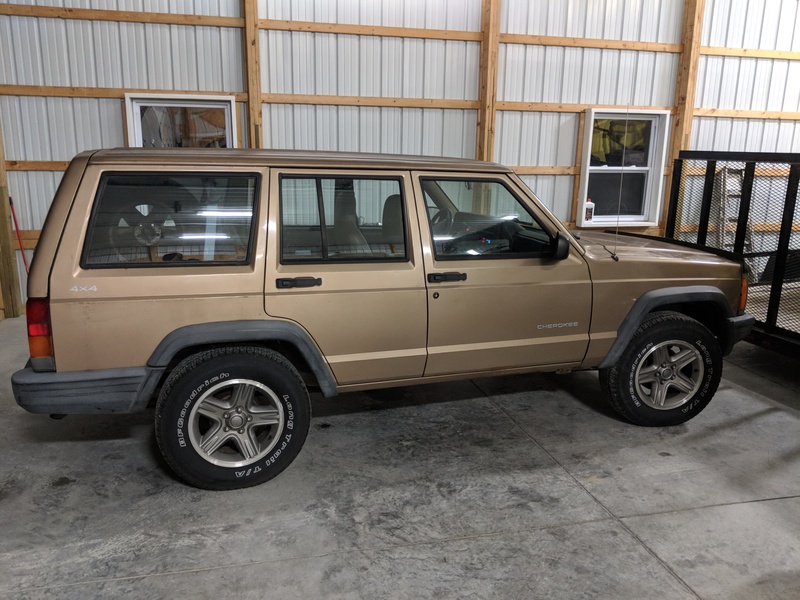 First is maintenance, as my main goal is reliability and then I'll move onto the mods, I had a 93 Sport as my first vehicle and have wanted another XJ since. Considering living in the midwest it was one of the most rust-free I had seen given the mileage and that was completely stock and hadn't already been wheeled too much. I'm looking forward to getting back into an XJ and am planning for a pretty thorough build and to document it the whole way. 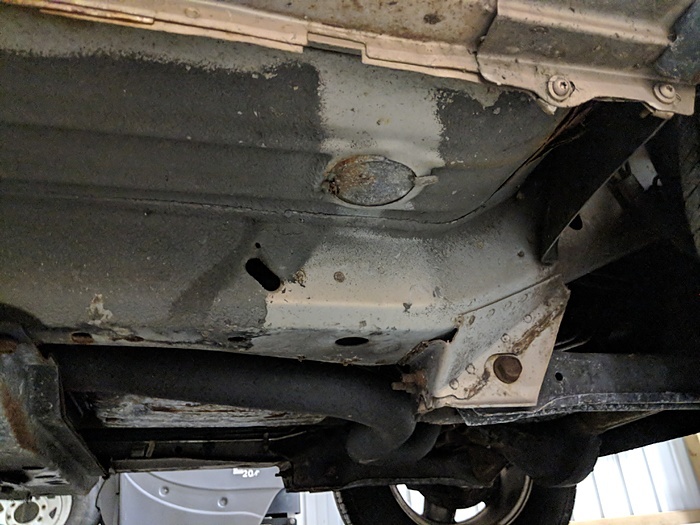 So the first steps were to replace the rear brake lines as they were leaking at the fittings at the drum which resulted in having to floor the pedal to slowly come to a stop. 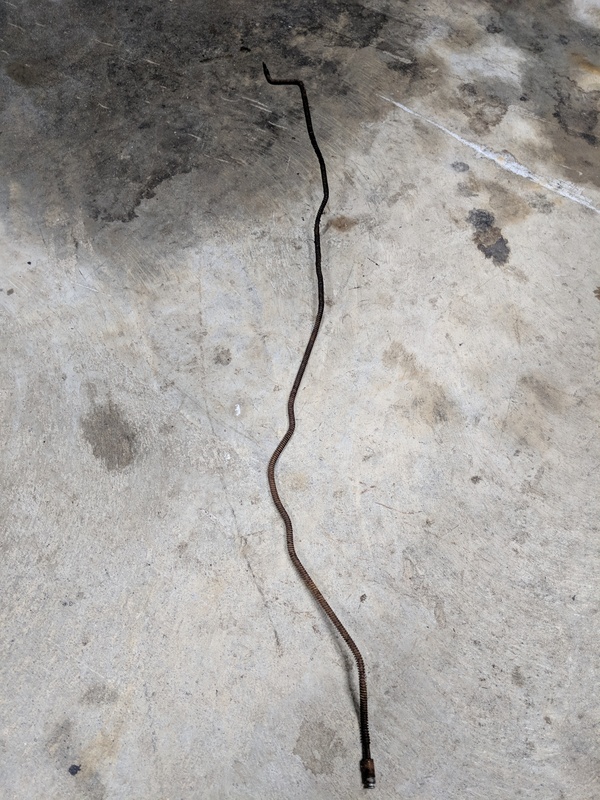 My dad and I worked on shaping some brake lines so that it could be driven back to my house from my parents barn and I've got plans to pick up a kit similar to what SSTubes offers for the XJ, but for ABS. Anyone know of a complete kit for ABS? 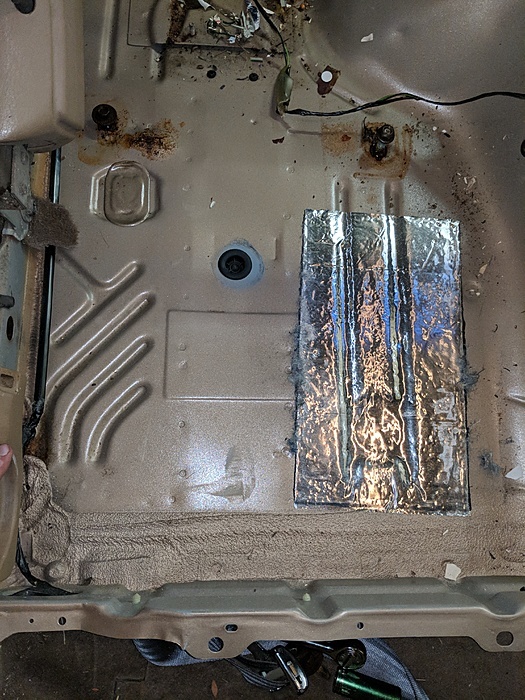 After replacing both rear lines to each drum we bled the brakes which shut off the brake light on the dash. 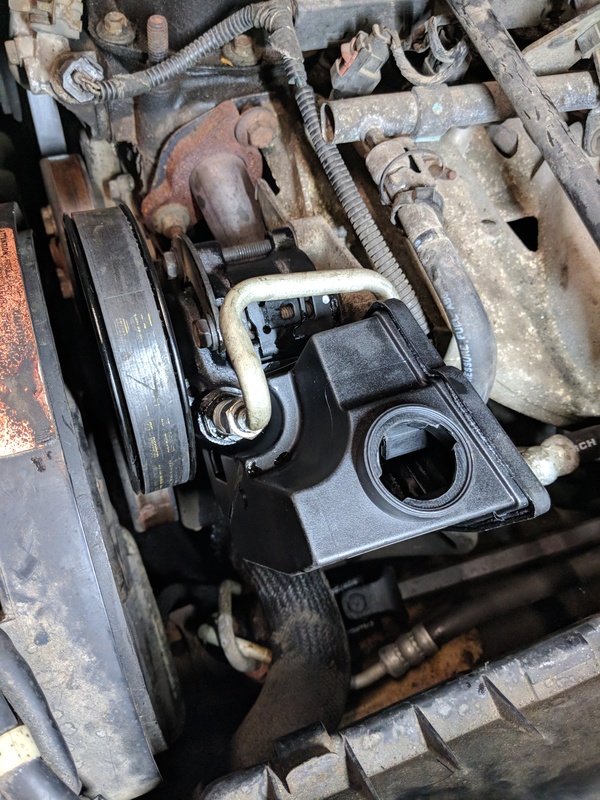 After replacing the brake lines Sunday night the power steering pump decided it was time to give up and went out, so a quick trip to O'Reilly and a new remanned pump and pulley are in and all is well for now. I've heard that the aftermarket pumps aren't known for their longevity so I'm planning to replace it in the future and keep it as a backup. 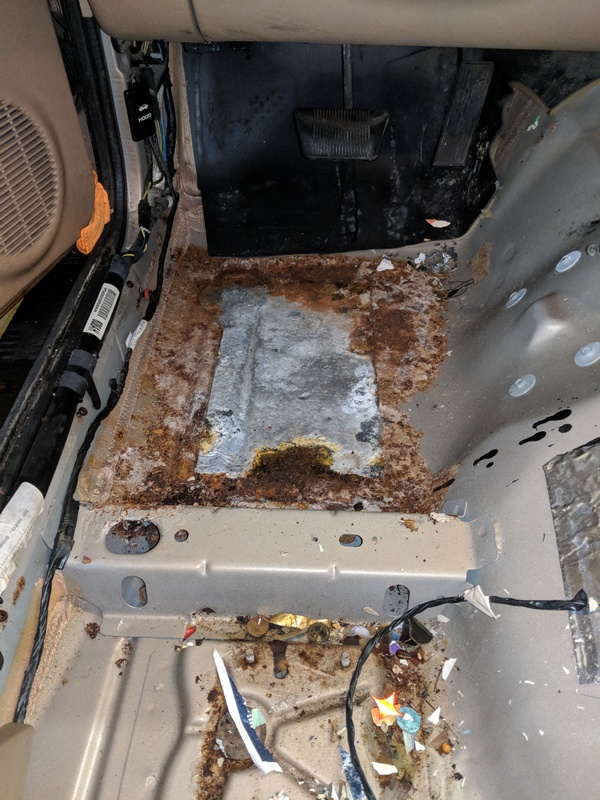 Last night I was able to begin on removing the enterior, the PO that sold it to my buddy said that there was a leak somewhere near the top of the windshield on the passenger side because water would puddle in the footwell so he siliconed everything he could think of. 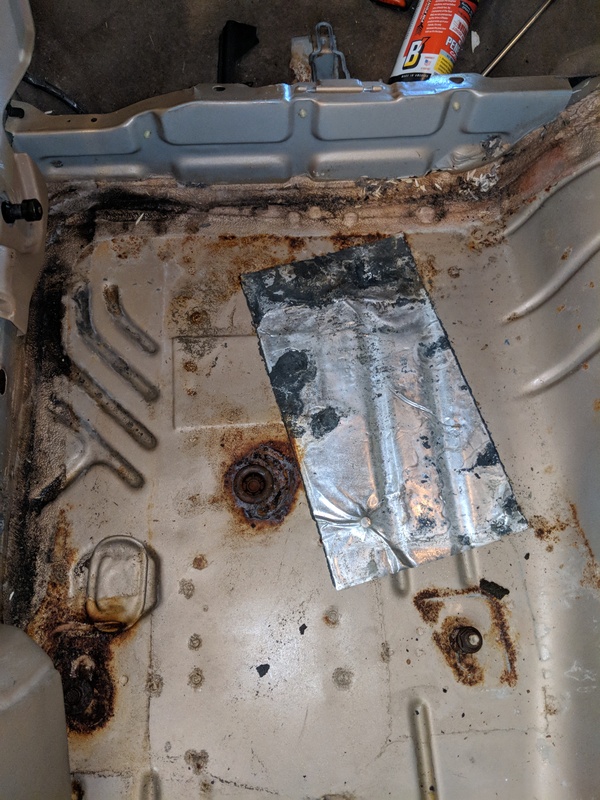 He must not have gotten it sealed well enough because it still leaks some so that is something else to start on after removing the headliner. 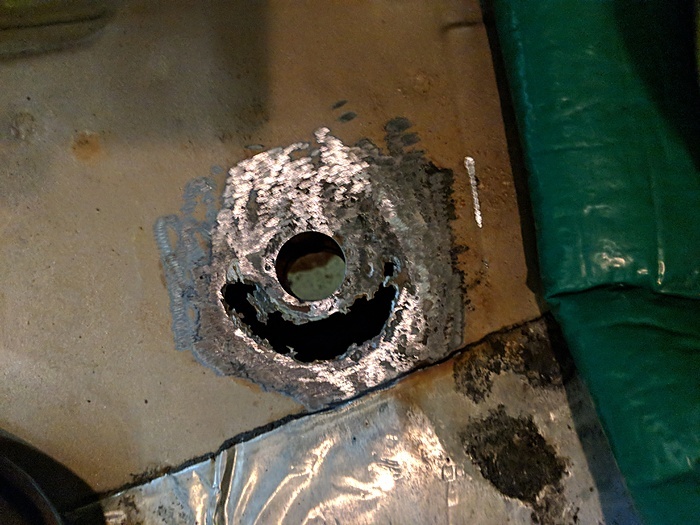 After pulling up the nasty carpet I was able to see how bad the damage was. 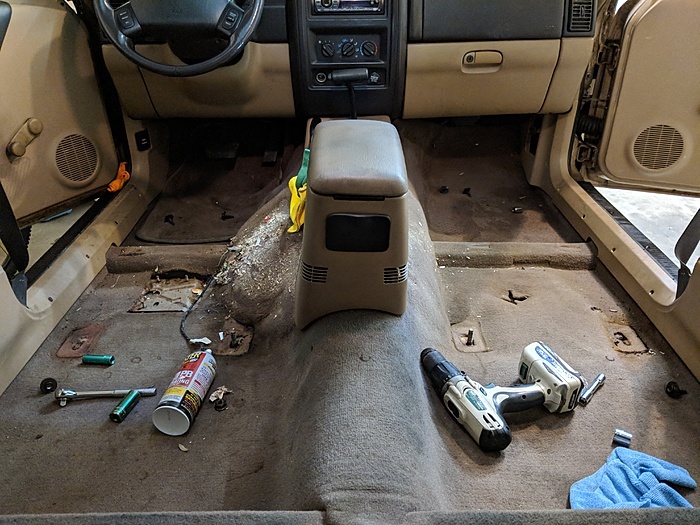 The undercarriage is actually cleaner than the interior after removing the carpet. 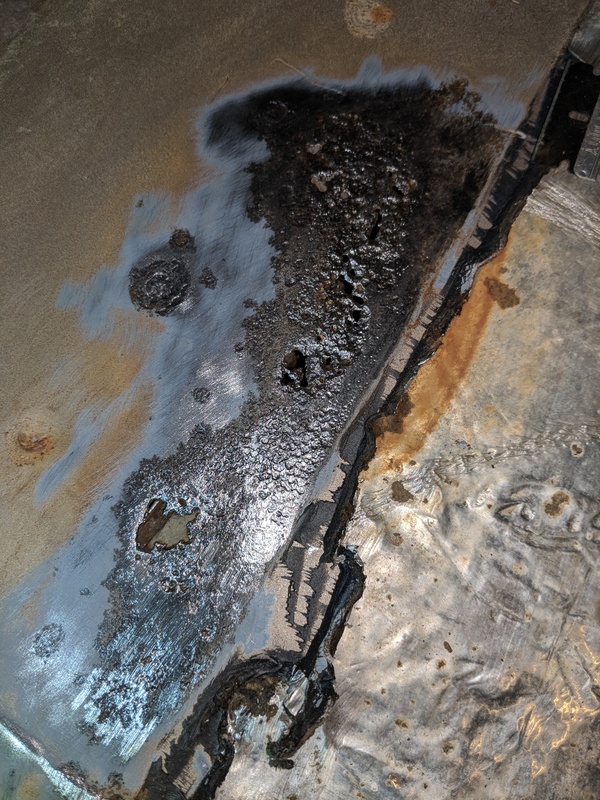 It looks like it would've rusted from the inside before outside because of the water leaks. Here's after a quick cleanup attempt before it got too late last night. 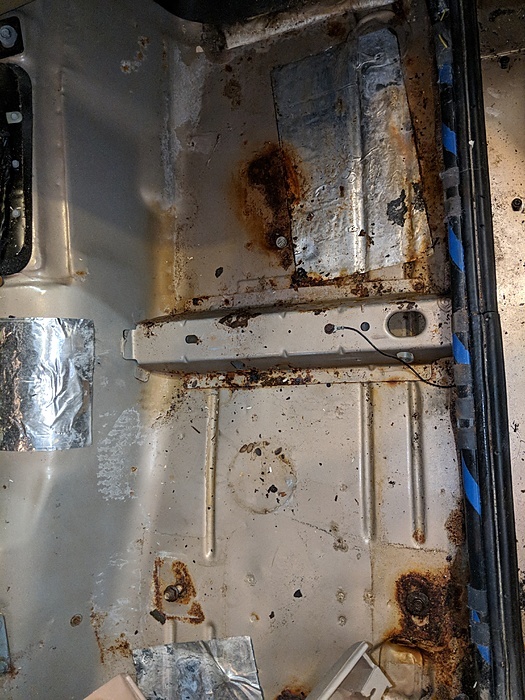 As of now I'm planning on welding in some new pieces to cover the holes and treating it with some Rust-Oleum Rust Reformer afterwards to help keep it at bay on the interior and after cleaning up some spots on the exterior too. Does this seem like a sound plan? Those chrome colored (sound deadening?) pads are complete rust free underneath as far as I could tell from peeling them back so I'm hoping I don't just end up with a hole around the driver's side pad after cleaning it. 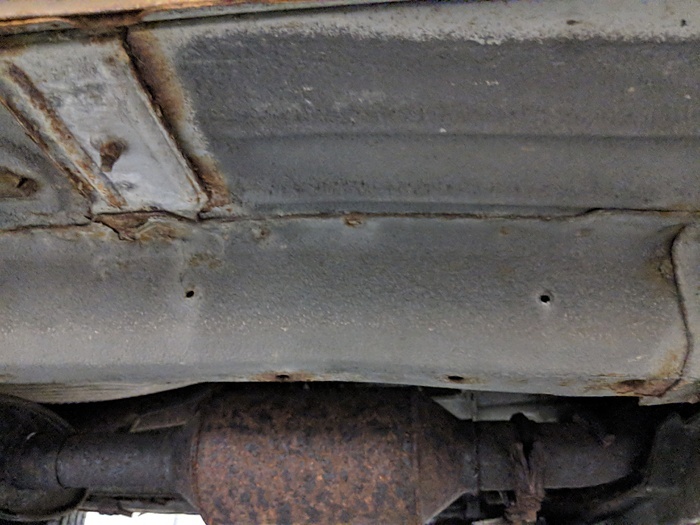 Nice XJ and well I would consider that not in bad shape considering its location you got it in and the leak it suffered. 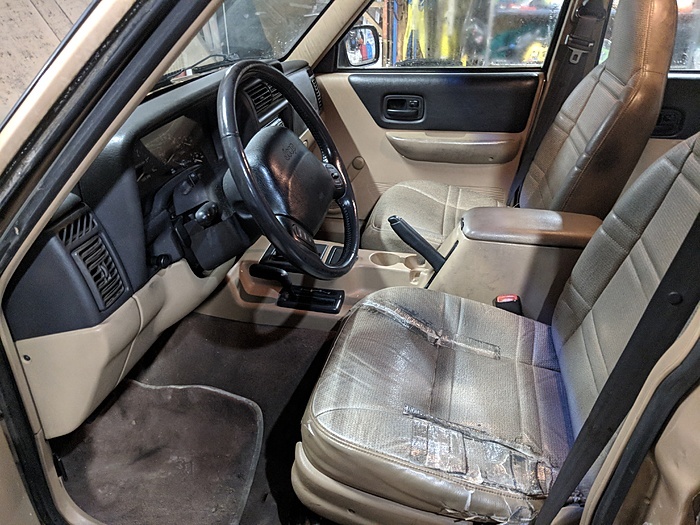 Had it not been for that leak you would have a good interior on your hands which you already know. Worse case you would just have to cut out the old and repair with patch panels or go the full route and replace the floors completly with new panels already pre cut. Not sure which will be easier or harder but if your able to repair what is there and save it might as well go that way. Good looking Jeep. Looking forward to seeing the build.